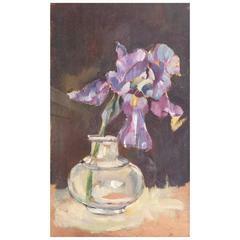 A stunning large still life by Jacques Emile Blanche, painted as a study for a Gobelins Tapestry. 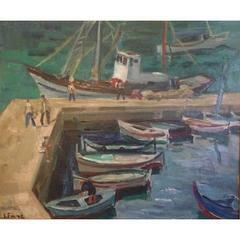 The painting was dedicated to the Director of the Beaux Arts Paris L Helvig signed JE Blanche and dated 1930. 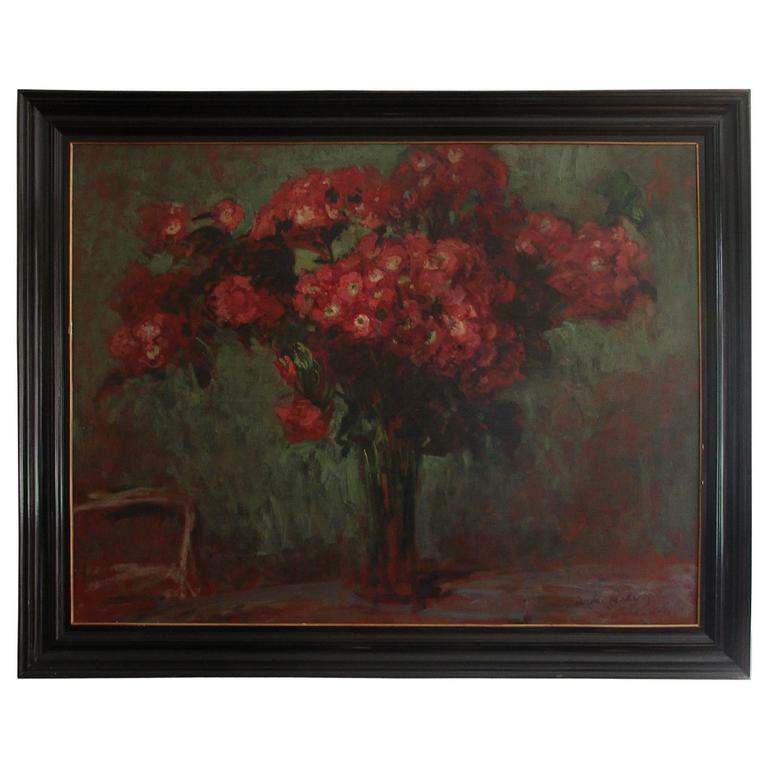 It is painted in oil on canvas and has a contemporary ebonised wood frame. Blanche was born in Paris. His father was a successful psychiatrist who ran a fashionable clinic, and he was brought up in the rich Parisian neighborhood of Passy. Blanche did receive some training in painting from Henri Gervex, but is mainly regarded as self-taught. He was incredibly sociable which helped him become a very successful portrait painter and was occasionally commissioned to paint still life’s. His style is derived from 18th century English painters such as Thomas Gainsborough as well as Édouard Manet and John Singer Sargent. He worked in London, as well as Paris, where he exhibited at the Salon and the Société Nationale des Beaux-Arts. One of his closest friends was Marcel Proust, who helped edit several of Blanche's publications. He also knew Henry James and is mentioned in Gertrude Stein's The Autobiography of Alice B. Toklas. In 1902 Jacques-Émile Blanche took over the direction of the Académie de La Palette. Among the painter's most famous works are portraits of his father, Marcel Proust and Aubrey Beardsley, which is exhibited at the National Portrait Gallery. The painiting is in good original condition. 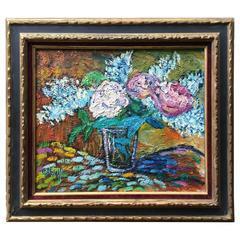 The frame is contemporary and has a few blemishes. 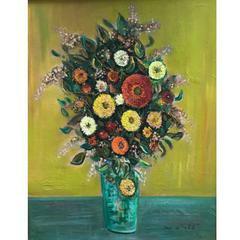 Heavy palette floral still life done in primarily blues and greens. Painted by midcentury artist Etta Cien. Well done impressionist still life. Oil on paper board. Unframed.